Have You Been Charged With A Misdemeanor Crime In New York? Nassau County Takes Misdemeanor Convictions Seriously! FIGHT YOUR MISDEMEANOR CHARGE WITH AN EXPERIENCED NASSAU COUNTY CRIMINAL DEFENSE LAWYER! Being charged with a crime is understandably overwhelming. Whether you are facing misdemeanor charges or felony ones, finding the right criminal defense attorney for you is a vital part of your legal strategy. With The Law Offices of Michael H. Ricca P.C., you are not alone in your fight. As an experienced criminal defense lawyer in Nassau County, Mr. Ricca takes your rights, needs, and future seriously. If you have been charged with a misdemeanor, contact our office to learn more about how we can help you fight your criminal charges.  Before we delve into the various misdemeanors, their classifications, and potential consequences, it is important that you understand the differences in the types of criminal charges you can receive in New York State. These charges, as defined by New York Penal Law, Article 10, are: violations, misdemeanors, and felonies. A violation is the least serious type of charge you can receive. It is considered to be any offense that can result in up to 15 days in jail, aside from traffic infractions. While there are still penalties, such as 15 days spent in jail or fines, a violation is not actually considered a crime. In most cases, if you are arrested for a violation, you are released soon after and issued an appearance ticket. This ticket will indicate the time and place you must appear in court. Harassment, disorderly conduct, and trespassing are all examples of violations. 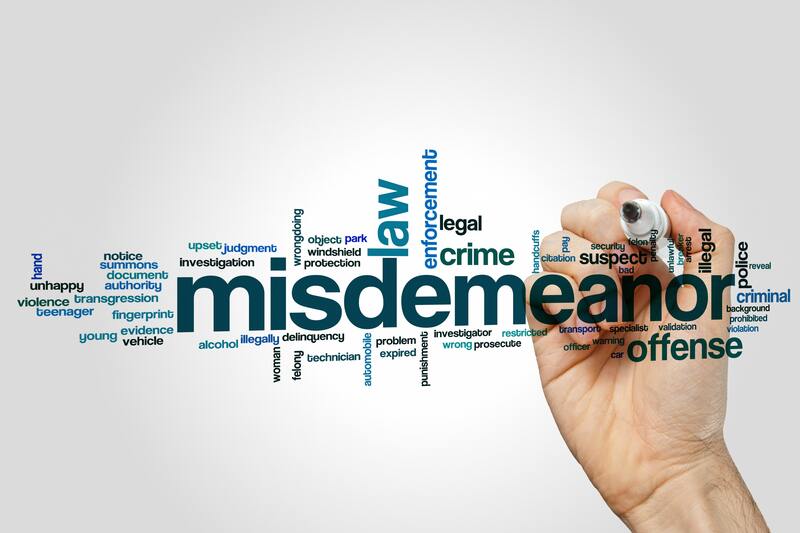 Misdemeanors are typically considered those “intermediary” crimes that occur between violations and felonies. Unlike a violation, however, a misdemeanor is a crime. Misdemeanors are crimes that are typically punishable by incarceration sentences that range between 16 days and 1 year. Fines, probation, restitution, and other such legal requirements may also be issued if you are convicted of a misdemeanor. According to New York law, any crime that results in more than 1 year incarceration is considered to be a felony. Felonies are crimes. There are five classifications for the felonies committed in New York. These include Class A (A-I and A-II), Class B, Class C, Class D, and Class E felonies. Felonies are the most serious types of crimes you can commit, with Class A-I felonies being the worst. Penalties for felonies are largely dependent on the classification, defendant’s previous criminal record, whether or not the felony was considered a “violent” crime, and other nuances. Some felonies, such as Class E felonies, may result in anywhere between probation in place of jail to up to 4 years in prison. Class A-I felonies, however, may result in sentences that range between 3 years for non-violent first time offenders to life without the possibility of parole. Prior to being abolished in 2007, Class A-I felonies could also result in the death penalty. In the State of New York, misdemeanors, like felonies, are divided into distinct categories. These include Class A, Class B and unclassified misdemeanors. Class A misdemeanors are the most serious type of misdemeanor crimes you can be charged with. As such, they are typically the misdemeanors that result in up to 1 year in jail. After all, a Class A misdemeanor is considered to be one step below a Class E felony, which is a serious offense. You may also find yourself the subject of a fine of up to $1,000 if you are convicted of a Class A misdemeanor. There are many different crimes that are classified as Class A misdemeanors. Petit larceny, assault in the third degree, and identity theft in the third degree are all examples of Class A misdemeanors. Class B misdemeanors are considered to be less serious than those that fall into the Class A category. However, Class B misdemeanors are still crimes. As such, they too come with potential consequences worth fighting. Throughout the state, Class B misdemeanors may result in fines that do not exceed $500. They may also result in up to 3 months in jail. The county you are in will play a significant role in how your charges are handled and the most likely outcomes you will face. You should note that Nassau County is notoriously tough on crime. By default, Nassau County prosecutors often will seek at least 30 days in jail, in addition to a $500 fine. In other counties, you may be given a “suspended sentence.” This means your sentence will be put into a holding pattern pending your actions from that point forward. Complete your requirements and stay out of trouble until this phase is over and you will likely be able to carry on without ever having served a jail sentence. Yet other counties may insist on “weekend jail.” This allows you to enjoy your freedom during the week then report to jail for a predetermined number of weekends. In other cases, probation may be the course of action. Violate the terms of your probation, however, and you will likely find yourself facing a jail sentence instead.  In the state of New York, there are several crimes that can result in a Class B misdemeanor charge. Writing bad checks, prostitution, and fortune telling are all Class B misdemeanors. Unclassified misdemeanors are those crimes that do not fit into other classifications. In other words, those crimes that do not fall under a Class A or Class B misdemeanor category are known as Unclassified misdemeanors. In order for a crime to be an unclassified misdemeanor, it will need to specifically be cited as such under the New York Penal Law. Because of the nature of the unclassified misdemeanor, there is no single prescribed punishment. At a maximum, however, you can be punished by up to 1 year in jail for an unclassified misdemeanor. You may also face a fine that ranges between $500 and $1,000 in place of, or in addition to, a jail sentence. Each jurisdiction has its own set of unclassified misdemeanors. Aggravated unlicensed driving, driving while intoxicated, and reckless driving are all examples of unclassified misdemeanors in Nassau County. In 2017, 12,141 adults were arrested for misdemeanors in Nassau County. Of these arrests, 58.4% of all adults arrested for a misdemeanor in New York were convicted of the crime and sentenced. The majority of all convictions resulted in jail, probation, fines, and conditional discharges. With that being said, let’s take a look as some of the most common misdemeanors in New York. Petit larceny, which is often referred to as “shoplifting,” is one of the most common misdemeanors in New York. Petit larceny is also a Class A misdemeanor, which makes it punishable by up to 1 year in jail. To be convicted of this crime, the law simply states “a person is guilty of petit larceny when he steals property.” Since Section 155.25 is so vague, any number of theft crimes may fall under this charge. Driving while intoxicated (DWI) is considered an unclassified misdemeanor the first time you are convicted. The second time you violate this law, however, you are now looking at a Class E felony. A first offense DWI is punishable by up to 1 year in jail, a $500 to $1,000 fine, or a combination of the two. As a driving offense, you are also looking at a 6 month suspension of your license, a Driver Responsibility Assessment fee of $250 annually for a period of 3 years, and a potential mandatory enrollment in the New York Impairment Drivers Program (IDP). New York is notoriously tough on drug-related crimes. Criminal possession of marihuana in the fourth degree is a Class A misdemeanor, punishable by up to 1 year in jail and a $1,000 fine. In order to be charged with a Section 221.40 violation, you must knowingly possess between 2 and 8 ounces of marihuana. This includes any preparations, compounds or mixtures that contain the substance as well as the drug itself. Assault in the third degree is a Class A misdemeanor. Assault in the third degree occurs when an individual is injured by another person due to intentional, reckless, or criminally negligent behavior. For example, if an individual is accidentally shot, the shooter can be charged with assault in the third degree even though they believed the weapon was not loaded. Aggravated unlicensed operation (AUO) is legal speak for driving without a valid license. It is considered an unclassified misdemeanor. To be charged with a Section 511 violation, you must knowingly, or have reason to know, that you are operating a vehicle without a valid license on a public highway. This misdemeanor comes with the potential for a $200 to $500 fine, up to 30 days in jail, or a combination of the two. For those who have businesses that sell alcohol, tattoo services, or tobacco, Section 260.21 is a law you should be aware of. A violation of Section 260.21 occurs when an owner, lessee, manager, or employee sells or provides adult services to a child under the age of 16. A violation of Section 260.21 is considered to be a Class B misdemeanor, with up to 3 months in jail, a $500 fine or a combination of the two. Often, individuals charged with misdemeanors, particularly non-violent ones, believe that they will likely just receive a fine or probation. There is a large misconception that misdemeanors do not typical result in jail time. Do not jeopardize your future based on this assumption. When you are charged with any type of crime, it is highly recommended that you seek experienced legal counsel before entering into any pleas, negotiations, or court hearing. After all, the county you were charged in, the district attorney, and your own representation will have as much to do with the outcome of your case as the facts and crime itself. The Law Offices of Michael H. Ricca P.C. can provide you with the care, passion, and legal skills you need to fight your misdemeanor charges. With years of experience and knowledge, as well as a deep passion for defending the rights of those charged with a crime, Mr. Ricca has carefully honed his professional skill set. By taking only the cases his workload will allow, he is also able to fully dedicate himself to those clients he represents, unlike the often-overburdened public defenders the court will provide if you meet the financial requirements. Whether you want to negotiate for reduced sentencing or want to fight the entire charge, having the best Nassau County criminal defense lawyer on your side is an essential piece of the legal puzzle. Mr. Ricca and his team can help you throughout the entire legal process, from assessing the likelihood of a favorable outcome to helping to prepare you for testimony in court. A criminal record can have a lasting effect. Why risk your future on legal counsel that does not have the time or experience to truly dedicate themselves to your cause? Contact The Law Offices of Michael H. Ricca P.C. today for your free consultation regarding your misdemeanor charges in New York.